Rovio Entertainment is now set for a stock market listing after posting strong earnings for 2011 that saw sales jump tenfold over the previous year. Some analysts have valued the Angry Birds creator at nearly $9 billion. Rovio’s head of investor relations told those at the shareholder meeting that the company is preparing itself and getting ready to go public. In an earlier statement, the company said they would be looking for an initial public offering in either New York or Hong Kong after meeting various requirements and regulations. The Finnish startup reported 2011 profit before tax of $48 million on revenue of $99 million. This is a tenfold increase over 2010’s revenue of just $10 million. At the end of 2011, the company had 200 million monthly users which is just south of rival Zynga at 240 million. It comes as no surprise that the Angry Birds franchise is directly responsible for the company’s success. The original bird-flinging game launched on the iPhone in 2009 and has since become a global hit. The recently-released title has become the fastest-growing mobile game of all time, surpassing 50 million downloads in just 32 days. 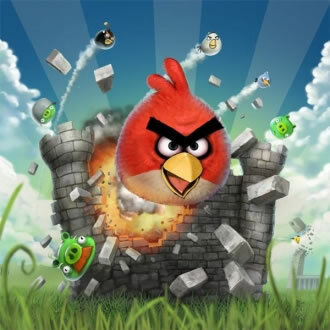 Rovio is predicting more of the same for 2012 with plans to release several new titles, including a non-Angry Birds game. The company anticipates further growth based on rising mobile phone sales and their investment in branding, brand protection and development. "2012 looks fantastic," said Rovio CEO Mikael Hed. "We have had some very strong download numbers over four months."